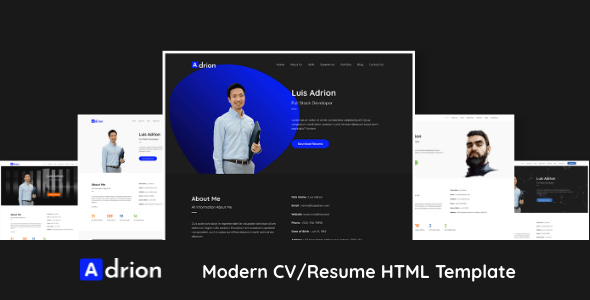 Adrion is a professional looking modern personal resume / CV & portfolio HTML template. It is fully responsive. When you are looking for a complete design with great development, Adrion has all those things to give you a stunning website. Adrion comes with different home page variations. It’s very quick to setup and easy to customize. Please note that images are only for demo purpose and not included in the download bundle.